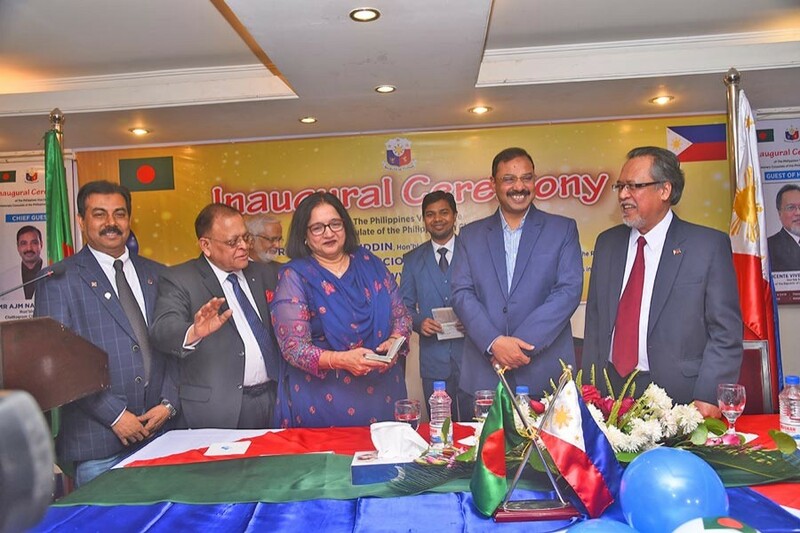 Chittagong City Corporation Mayor AJM Nasir Uddin said recently the opening of the Philippines visa centre in the port city would embolden the ties between the two countries. He was speaking as the chief guest at the opening ceremony of the visa centre at a hotel in the port city. Honorary Consul of the Philippines in Chattogram Mohammed A Awwal presided over the opening ceremony of the visa centre. Philippines Ambassador to Bangladesh Vincente Vivencio T Bandillo and visa officer of the embassy of the Philippines Berlin A Tolosa attended the function. Also present were Chief Executive of the Consulate Sheikh Habibur Rahman and the local elite. Earlier speaking at a press conference on the occasion, Mr Awwal said the people of Chattogram would no more need to come to Dhaka for visa and the visa process would now be hassle-free for them. Mr Awwal observed that the world's second island country comprising 7,641 islands in the West Pacific, the Philippines has similar features as Bangladesh has. He added both the countries signed Memorandum of Understanding (MoU) to enter into a Free Trade Agreement (FTA) to facilitate export, import and duty and tax cut three years back but the FTA was yet to be reached. "The economy of the Philippines is much stronger than that of Bangladesh with their $3,500 per capita income against our $ 1,700," he remarked. "With a total of 0.3 million square kilometres of land area, the Philippines already holds the status of a middle income country while we are on the way towards achieving it," he mentioned. But the balance of bilateral trade tilts towards Bangladesh, Awwal said, adding the country's annual export to the Philippines is worth $ 500 million while it imports goods worth $ 250 million.